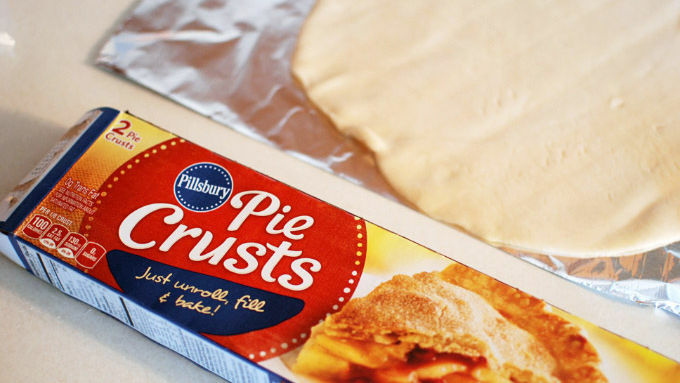 Using just one of the Pillsbury™ pie crusts that come in the box, put the pie crust onto a baking sheet and bake according to the package instructions. Juice 2 of the lemons and add to a pitcher. Add in the wine, cider, and vodka. Slice the other 2 lemons and add them to the pitcher. Chop the apples and add them. Add in the cinnamon sticks. Serve in a glass with a cinnamon stick stirrer. Roughly break or chop the pie crust into jagged triangles. 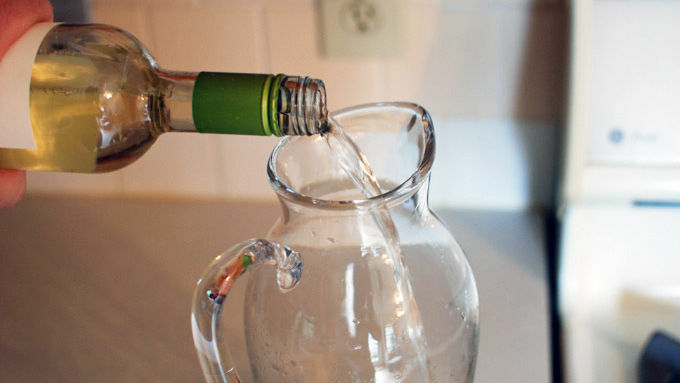 Use the edge of the wine glass to cut a slit into the pie crust to attach it to the rim of the glass as a garnish. 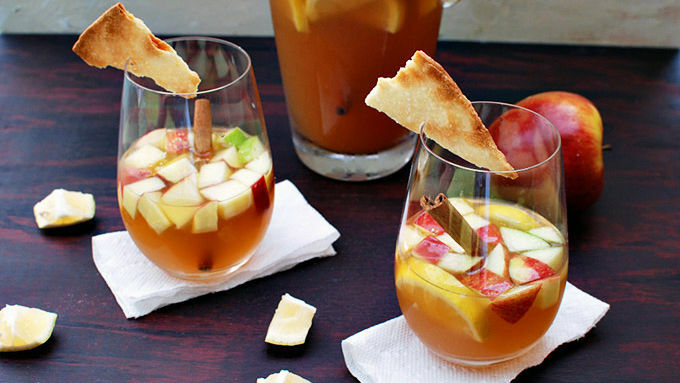 Enjoy the season with a fresh sangria that tastes like apple pie! If you're having a party in the next couple months (and we all are, let’s be honest) THIS is the drink that you should serve to your guests. 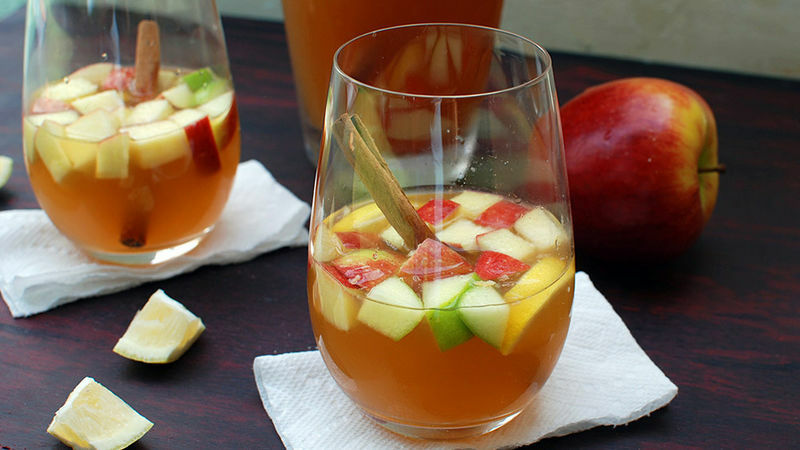 This apple sangria has a totally familiar sangria taste, yet with a couple fun twists it becomes something new and unique. A little cinnamon and vanilla vodka really accentuate the apple and actually creates an apple pie flavor! Which is great on its own, but if you really want to play up the apple pie-ness you can add a pie crust garnish to sit on the rim of your glasses. The people I served this to had different reactions to the pie crust. Some avoided it altogether until the end of their drink, while others ate it first as an appetizer. I saw a few dipping it into the drink, and one guy just tossed it right in, broke it apart and mixed it in! No matter which way you choose to enjoy, with or without a pie crust, have fun!